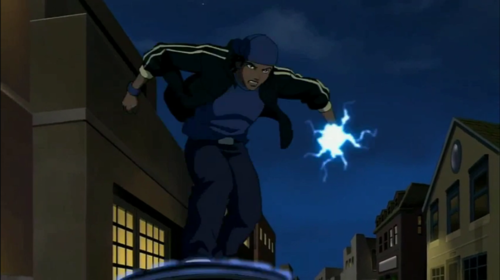 Static comes to Young Justice. January 5 (Two episodes are set to air on this date). Wallpaper and background images in the Young Justice OC'S!!! club. This Young Justice OC'S!!! photo contains jalan, tempat kejadian bandar, tetapan bandar, menetapkan, bandar tempat kejadian jalan perbandaran, and bandar. There might also be unicyclist, bata, and brownstone.